Another great soccer photo stolen from the FIFA world cup website. 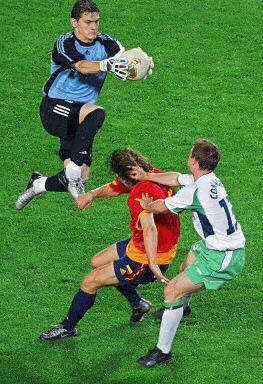 This is from the Spain-Ireland game of a week or so ago. Spain's goalie was spectacular throughout the tournament. Surprisingly, they were eliminated earlier than most people expected, as were other powerful teams like France, Argentina, and Italy.